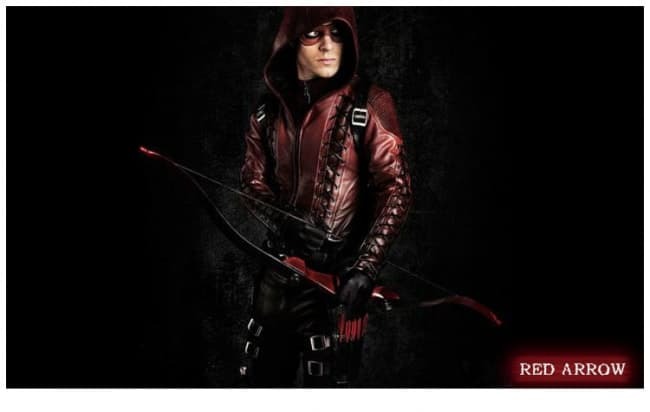 This Red Arrow Cosplay Costume is made of high quality artificial eather that looks and most importantly feels like the real thing. Includes: coat, pants, gloves, belt, arm piece, arrow carrier, eyepad. This Red Arrow Cosplay Costume is made of high quality artificial eather that looks and most importantly feels like the real thing. Includes: coat, pants, gloves, belt, arm piece, arrow carrier, eyepad. It is accepted that proofing by providing pictures to customize new costume.